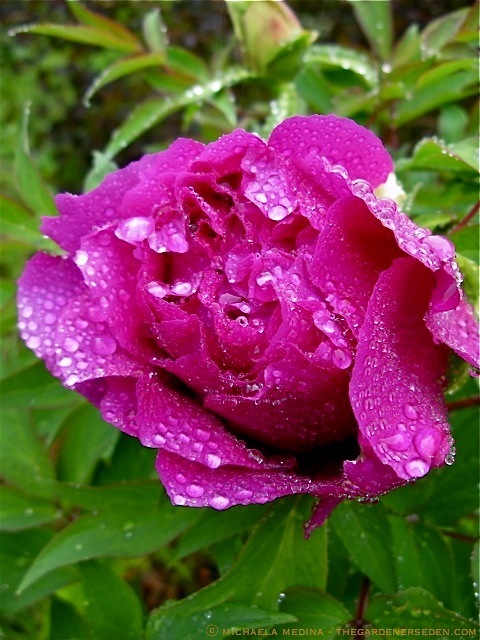 § 7 Responses to Black Dragon Holds a Splendid Flower …"
That third photo? Ah-mazing. I felt my heart skip a beat or ache or something weird when I looked at it. I don’t really do the seated meditation thing but I can imagine all my frivolous thoughts getting subdued while observing this close-up photo. Stunning. Eye-popping. And as usual, I want to taste that color! A former bar tender at McNeills used to make a funny pink girly drink this time of year out of the peonies someone would bring in. She’d stick a peony petal on top and serve it to the regular burly boy customers. They thought it was hysterical. btw, the drink wasn’t literally made out of peonies…just had a petal for decoration. 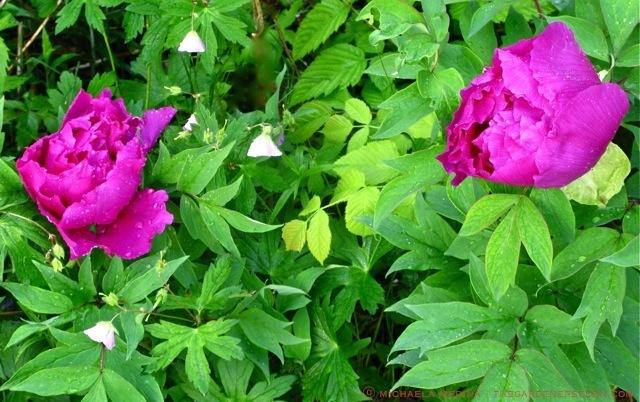 I don’t even know if peonies are poisonous or not! Also, this photo and post was a nice boost to my afternoon of being stuck inside in front of a computer at work with my long sleeves, long pants, wool socks and leather boots to keep me warm int the overly-conditioned air. Absolutely brilliant! What a beautiful post. I only discovered your blog a few months ago, and eagerly follow it now. I don’t have a garden of my own, but wander nearly every day in a local botanical garden taking photographs. I have to say, your creativity, photography, and insights inspire me. Thank you! And that dragon’s fire photograph at the end — it took my breath away. 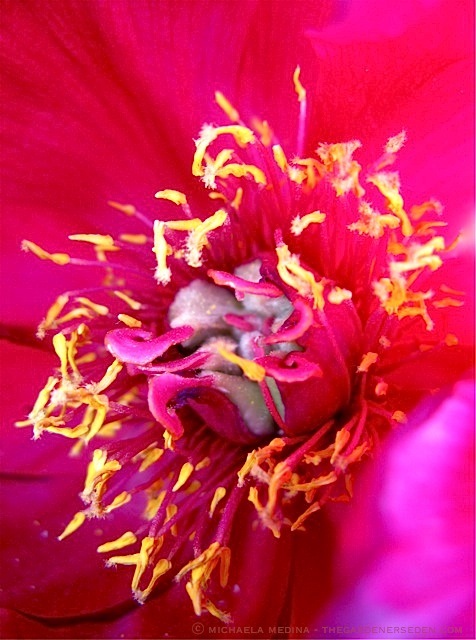 You are currently reading Black Dragon Holds a Splendid Flower … at The Gardener's Eden.